During my 10+ years working in online marketing, I came across a lot of information on tools to run an online business. 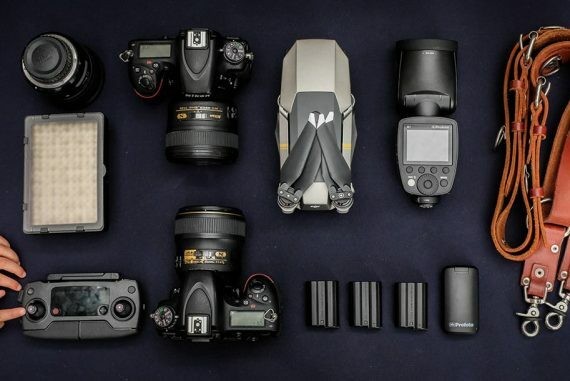 Now I run Shotkit and my own wedding photography business full time, I rely on a number of these tools and services to help me achieve my goals. Here’s a list of my recommended resources that will help you to run an online business, in particular your photography business, more productively and hopefully more profitably. I’ll be updating this list of resources from time to time when I come across new tools, so be sure to check back soon. Starting and running an online business starts with choosing a website platform. There are so many of them available that it can be a little overwhelming. That’s why I’ve kept it simple for you. WordPress.org – I’ve built several websites over the years and have always used WordPress. There are so many successful people who run an online business using WordPress. It’s customisable, easy to learn, and can handle a small photographer’s site right up to some of the biggest sites on the Internet. Here’s a simple guide to building your first WordPress site. Google Docs – The back-end of WordPress can become very laggy when editing long posts (such as this mammoth one! ), so I use Google Docs to do the composing/editing, then copy/paste the changes over to my main site. The more time I spend running my online business, the more I appreciate the importance of good hosting. Having fast and reliable servers is of prime importance to your photography business website in particular, since the servers will need to deal with a lot of data transfer (lots of your pretty photos!) I know everyone can’t afford the best hosting, so I’ve recommended one budget one too. SiteGround – especially if you’re using a Flothemes WordPress theme, these guys are unbeatable. I’d recommend this Entry level Cloud Hosting plan if you’re a photographer who likes to display lots of images on their site. Webster Park Digital – this is who I’ve recently switched to for Shotkit and my photography business. I’d highly recommend them if you’re after a very personal level of service and fast site loading speeds. Also known as the URL, you’ll need to think carefully about choosing the domain name before you start your online business. Don’t worry too much about naming your domain for SEO – it’s arguable if this has any effect at all these days. Just think of something memorable and original. Bluehost – I register all my domain names with Bluehost. There are lots of other options out there, but I’ve stuck with Bluehost as it’s always been quick and cheap. You can own a custom URL for your photography business in less than a minute using Bluehost. You can refer to this same simple guide to registering your first domain with Bluehost. SimpleMag – I’ve been using the SimpleMag WordPress theme since the start of Shotkit. Recently I also moved my personal photography blog to this theme too. There are many free WordPress themes available, but I chose to pay for SimpleMag as it looks great and the service is worth the price many times over. Theme Forest – Here you can buy WordPress themes from just $4. I’d really recommend you choose a paid WordPress theme over a free one. If you want to read why, check out this WordPress guide. Flothemes – they’re a little pricey, but when you compare them to a fully custom WordPress design, they’re great value. Check out the Flothemes review where I give a 25% discount. It’s difficult to learn how to start an online business unless your websites are functioning properly! Keeping my sites up and running as efficiently as possible is a high priority for me. Envato Market Place – this is a great resource for finding designers and developers to fix issues on your site or to help build your next online business venture. This is a tough one. I’d love to recommend Fiverr again, or even 99Designs, but the truth is, you really do get what you pay for when it comes to design work and I’ve never been truly happy with either. Design is definitely an important consideration when deciding how to start an online business. 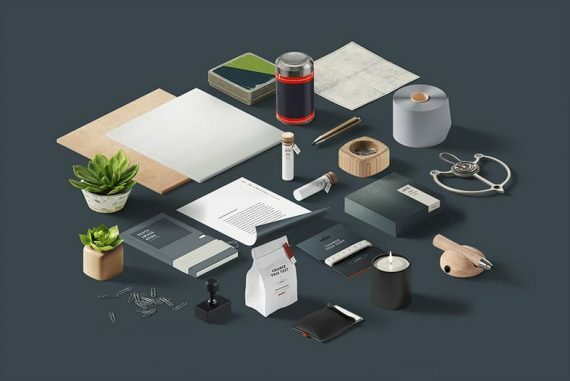 Designhill – a great resource of paid graphic elements for online and offline use. Also showcases some decent photography logos for branding too. Dribbble – Not only can you get a shitload of inspiration from the talented designers on this site, Dribbl is also a great resource for hiring one too. Unsplash – the best free images on the net that I’ve come across. GraphicBurger – another great repository for free images and design files. 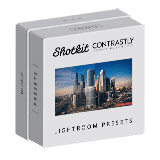 Contrastly Presets – I use these presets to provide a one-click edit to the images featured in the Shotkit blog. Love it or hate it, social media is a necessary evil to run an online business. Personally I try and reduce the time I spend on social media as much as possible. Here are the apps I use to try and make this possible. IFTTT – I use IFTTT recipes to post updates to Google +, Twitter and Facebook whenever Shotkit gets updated. I’ve only scratched the surface with IFTTT but it’s an excellent free automation service. Buffer – I use the free Buffer plan to schedule any useful non-Shotkit related content to post to my social media networks. It’s a great set and forget software that does your work in the background and helps me share interesting links to you guys! Revive Old Posts Plugin – there are hundreds of great photographers on Shotkit. This is an excellent way for me to promote them over social media so they don’t get lost in time! Social Media Image Size Guide – resizing your images to the correct dimensions for each social media platform can save you loads of time. I’ve put together a free image size guide to help with your promotion on Facebook, Instagram, Pinterest, Twitter and more. I’m obsessed with productivity. You’ll see productivity tips time and time again on all the ‘how to start an online business’ blogs out there. Getting more done in less time should be a top priority for you. Here are some apps that might help. Apple Notes – I’ve tried Evernote and found it overcomplicated for my needs, so I just use the default Mac/iPhone Notes app and love it, espcially now how it syncs seamlessly over iCloud. Trello – This is what I use to keep track of ongoing projects in both my Shotkit business and my photography business. I really don’t see any need of upgrading from the free plan to the paid plan. Jumpcut – This extremely useful tool sits in your Mac’s menu bar collecting whatever text you copy, ready to be pasted at a later time. Simple, quick and invaluable. Feedly – this is in my opinion the best RSS/news reader out there. I use it mostly on my iPad at the end of each day to keep up with industry news. I share interesting articles from here directly to Buffer. Text Expander – this tool saves me a lot of time when replying to emails. Text Expander lets you create abbreviations (‘snippets’) for any text you frequently type. When you need to insert the text, you just type the abbreviation into whatever text field is open, and TextExpander instantly inserts the text. Highly recommended. Unclutter – I only just discovered this Mac app recently but have been using it everyday since. It sits in your menu bar, storing commonly used folders and files, as well as acting as a note pad and a (somewhat confusing) clipboard manager. JPEGMini – I included this image processing app under ‘productivity’ since it saves me a lot of time in the long run. 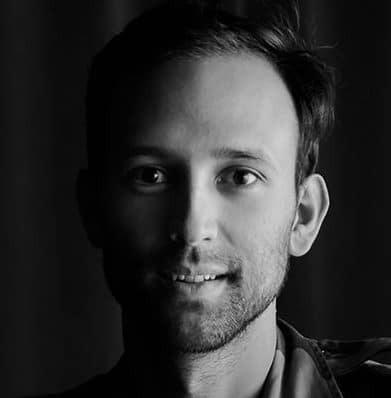 JPEGMini reduces the size of my JPEGs which I use on all my websites, with no visible loss in quality. Read my full review of JPEGMini here. Without your computer, it’s impossible to start an online business. That’s why I recommend investing in apps that help your computer function as efficiently as possible. This will also increase the longevity of your hardware, saving you money in the long run. CleanMyMac3 – I was reluctant to fork out the cash to pay for this Mac software, but after using it for a few months, I wish I’d done it much earlier. I run CleanMyMac3 every week or so to keep my MacBook Pro running smoothly. CleanMyMac3 has inadvertently saved me thousands of dollars, since I no longer have to upgrade to a new laptop, having saved me over 60GB in expensive flash drive space. I highly recommend it. CleanMyDrive2 – the free piece of software from the same guys handles all my external drives in one easy to use, beautifully designed interface. I’ve included CleanMyDrive2 under this section since every time I eject a hard drive or memory card, the CleanMyDrive2 software performs a maintenance check on the drive, preserving its longevity and safe use. It’s a boring topic but to be able to start an online business as safely as possible, you’ll need to think seriously about backing up all your data. Dropbox – this one’s a no brainer. Dropbox integrates seamlessly into whatever file storage system you’re using. I just wish upload speeds here in Australia were quicker so I could use Dropbox to deliver files to my wedding clients. Apple Time Machine – I use this to backup the contents of my laptop to an external drive. Nothing fancy here – just a simple, hands-off backup solution. JPEG Mini Pro – it’s not cheap, but it’s worth the cost several times over. It’ll save you time and money in the long run – read my full review of JPEG Mini to find out more. ImageResize – this is a useful free app I use when I need something that’s based online. It also works well with PNGs. Google Analytics – this one’s a no brainer. Get all the analytical data on who visits your websites for free. I’d like to say I check my Analytics account every day, but I don’t. I’m not very good with numbers, but it’s nice to know the info is there when I need it! Dasheroo – here’s another great reporting app that I really should check more often. Hook it up to your websites and social media to keep track on visitors and vanity metrics. Analytics are boring, but they do give a useful insight on how to run an online business efficiently. Bitly – If you want to shorten URLs and track how many people click on them and when, Bitly is incredibly powerful. I use a Bitly custom URL when sending out a link to my pricing pdf for my photography business so I know if and when the client has clicked on it. If you’re wanting to start an online business, you should consider starting to collect email addresses before you even launch. Having a list of contacts who have expressed interest in your product or service is invaluable. Thrive Leads – Collecting the email addresses of the visitors to your website needn’t be an intrusive thing. Pop ups can be annoying, but Thrive Leads offers many more options to help you quickly build an email list. As long as you’re providing something of interest to your subscribers, you really should be asking for their email address from day one. Thrive Leads makes it easy to do, and their software is updated regularly with free and useful features. Their blog is also packed with useful tidbits on how to run an online business. SumoMe – Another way to collect email addresses is by using SumoMe. I find Thrive Leads much more customizable and powerful than SumoMe, but SumoMe offers a free plan, and also has many other useful tools which you can experiment with too. I’d recommend using Heat Maps to visualise where your visitors are clicking. Gleam – whenever I run a Giveaway on Shotkit, my goal isn’t necessarily to build my email list, but it does occur naturally. 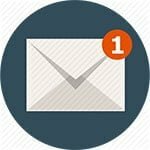 If you have something good to give away to your readers, they should be happy to sign up to your newsletter in return for a free entry. Gleam makes this easy. Highly recommended. Learning about SEO and content marketing might not be everyone’s cup of tea, but they’re useful topics to have at least a basic understanding of to start your online business. Fiverr – I wouldn’t recommend using Fiverr for any dodgy link building gigs, but if you need some white hat (legitimate) SEO that’s tedious or time consuming, Fiverr can be a safe bet. Rather than searching for ‘SEO’ in Fiverr though, I’d recommend searching for ‘VA’ or ‘Virtual Assistant’ instead. This will ensure you bypass any potentially shady SEO gigs out there. Then you can delegate your SEO work to your VA. For my photography blog, I hired a VA on Fiverr to write over 200 unique alt tags for my images for… you guessed it… 5 bucks. QuickSprout Blog – Neil Patel is an excellent teacher on content marketing, SEO, and how to run an online business in general. It never fails to amaze me how much useful and actionable info this online marketing guru is willing to give away for free on this blog. You can learn a hell of a lot here for any online business. Get Response – This is who I use to manage my email list and send newsletters for both Shotkit and my wedding photography business. Their support is unrivalled and live chat is available 24/7 – essential if you live outside the US like I do. Get Response features several amazing features that make the subscription fee worth while. One is Perfect Timing, which delivers your message when the user is most likely to read it (based on their past usage). Another is Time Travel, which allows you to schedule a local time for delivery. You can even see the messages being opened in real time on a map! Highly recommended, no matter what your email list size. Learn how to start an online business while you’re driving your car, out for a jog, or just doing the dishes! I love podcasts, and there are so many great free ones available. Here are some of my faves. PhotoBizX – Andrew from PhotoBizX was kind enough to interview me here, but even before this, I was a big fan of this podcast. It’s interesting to hear how successful photographers run their businesses and attract new clients. There’s usually some good tips on how to run an online business in the competitive world of wedding photography. You can use this link to give Premium Membership a go for just $1. Tim Ferris – absolutely nothing to do with photography (although he did interview Chase Jarvis once), but everything to do with feeling motivated and inspired. Ferris interviews such a variety of world class guests that you’re bound to find something of interest. I’m a huge fan. You can’t go past monetization when learning how to start an online business. Whether its selling your photography services or just covering site running costs, here are a few ways to make money. Amazon Affiliates – it’s no secret that I use Amazon affiliate links on Shotkit to help pay for my website running costs. Amazon stocks every product under the sun, so if you want to recommend something, you may as well get paid for doing it. Next time you write that camera review, why not include an Amazon link so people can indirectly say thanks by using it to make a purchase they would have done anyway. B&H Photo Affiliates – I also promote B&H Photo products on Shotkit. 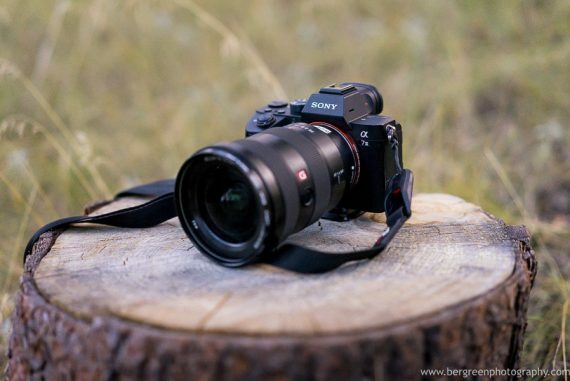 If someone is about to invest in any expensive camera gear, it’s more likely that they’ll buy from a reputable dealer with excellent aftersales service such as B&H Photo than any cheaper grey market alternative. They also offer free next day delivery on a lot of products too. 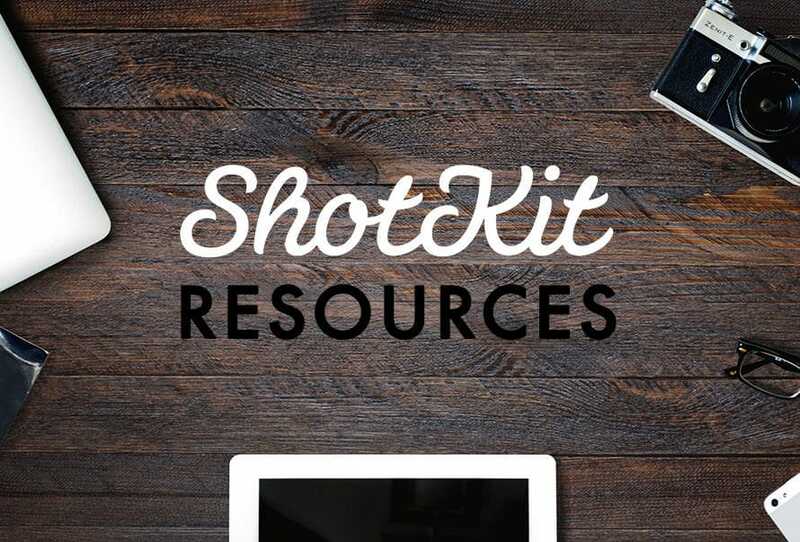 Gumroad – this is what I use to sell the Shotkit Book. I chose Gumroad due to its well designed interface (both for me and for the customer), and its ability to accept credit card payments. Getting paid and keeping track of expenses is essential for starting and running a profitable online business. Here’s what I rely on to make my life easier. Payoneer – this allows non-US residents to have a virtual US bank account. Amazon doesn’t currently make direct online bank payments unless you have a US bank account, so unless you want to receive a physical cheque each payment cycle, I highly recommend Payoneer. You’re also given a debit card which you can use in the US to make payments and withdraw money without being charged. Wave App – Easy to use, well designed, and above all free accounting software. Supports multi-currency, which is essential to keep track of overseas payments. Xero – this is a paid service, but adds a whole lot of functionality over Wave. Although I’m not currently using Xero, I’ve heard many great things about them. When I start hiring staff and needing payroll functionality, I’ll definitely switch to Xero. I love being able to schedule my work life in as few steps as possible. These are the apps I rely on everyday to make this possible. Calendly – this great online app reduces endless email back and forth when trying to schedule appointments. It’s especially useful when dealing with multiple time zones, like trying to find a good time for both parties to conduct a Skype meeting. Google Calendar – I’ve tried lots of different calendars but keep returning to the big G. I just wish they still had the SMS appointment notification. I left this one until last as it’s not specific to starting an online business, but rather to starting and running a photography business. Studio Ninja – after spending too much time attempting to set up and run other studio management software, I finally settled on this one which I believe is the simplest and most efficient of the lot. Might not have every bell and whistle of the others, but it gets the job done. SmartAlbums2 – This is the software I use to design wedding albums for clients. It’s simple, fast and affordable. Check out my review of SmartAlbums2 here. ShootProof – I use ShootProof online galleries to both deliver my photos to clients and also handle online print sales. 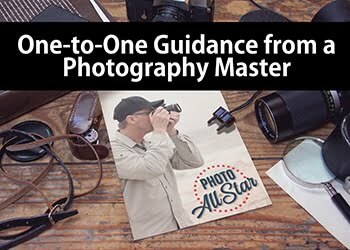 It’s the most hands-off and efficient way I’ve found to make money selling my photography. 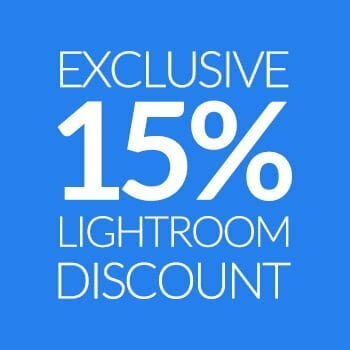 ShootDotEdit – these are the image editing wizards I use to handle most of my wedding photography image editing. This helps me deliver images back to clients in under 10 days… sometimes less than a week! Here’s how to get a discount. Fix The Photo – when Photoshopping is involved, I like to outsource the image edit to these guys who are amazing at cloning in or out elements that would otherwise take me hours. Disclaimer: I hope you enjoyed the post on how to start an online business. I use (and pay for) all the tools and services in this post and whole-heartedly recommend them. Some of the tools and services include affiliate links, which means that I make a small commission if you choose to purchase. This helps pay for the running of Shotkit and my time invested into creating posts such as this. Thank you for your support!